We have prepared several custom-editions of our Shambhala Chant Book—for Shambhala Mountain Center, Marpa House, Dorje Khyung Dzong, and the Profound Treasury Retreat program. Some of our centers or programs have reasons to want a different selection of chants, and we are delighted to work with you to create a special edition that meets your needs. Please be in touch with us if you would like to create one for your center or program. We have used the model of the center-edition, produced in one color and coil-bound, primarily for shrine-room use. This summer we also published a water-resistant custom-edition of a small selection of chants for the Magyal Pomra Encampment at Dorje Denma Ling. We were able to fit all the chants needed for the morning practice session on both sides of one sheet of paper, which we had laminated for outdoor use. We are working on the deluxe editions of the Sadhana of Mahamudra, which will include a full-size, hardcover edition with color illustrations, as well as an elegant pocket-size edition, created by our designer Liza Matthews. With the new edition of the Avalokiteshvara Sadhana of Nonmeditation, published last year, we included a set of chants used during most of our feast practices. These chants were printed in black-only, without the costly red border, thus keeping the price very reasonable. Many people like having an extra set or two of the most-often-used chants that they can put with each of their main sadhana texts, especially useful when attending a feast. You’ll find “Feast Chants” as an option with most of our main sadhana publications. Also published with the Avalokiteshvara materials were 5″ x 7″ photos of the newAvalokiteshvara and guru-yoga thangkas, now also available in 8″ x 10″ size. We have arranged for Shambhala Publications to take over the publishing of the two volumes of teachings given to our sangha in 1987 by H.H. Dilgo Khyentse Rinpoche: Pure Appearance and Primordial Purity. The publication date has not yet been set, but these will appear in both paperback and e-book editions. At present, we still have a small stock of Pure Appearance, one of the best explanations of the creation-stage practice (utpattikrama) and the bardos. Larry continued with the series of on-line presentations on Vajrayogini over the last year. 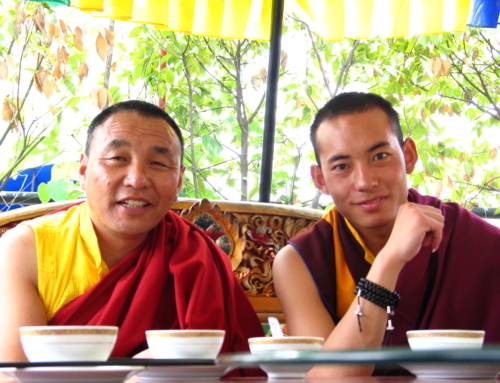 Partnering with long-time friend and translator-colleague Sherab Chödzin, he taught an on-line course on the practice of ordinary mind on the Ocean website,ocean.chronicleproject.com. During the winter, he led a Chakrasamvara retreat at Sky Lake Lodge. After our translation intensive with Karma Senge Rinpoche in China this spring, Larry traveled to Beijing and taught a short program on the Sadhana of Mahamudra for a group of Chinese students particularly inspired by the teachings of the Vidyadhara. This fall, Larry is leading a number of retreats. In September, for a third year, he led theVajrayogini druppa at Gampo Abbey. Soon after, he also led a Vajyayogini four-karmas fire offering at Dorje Denma Ling. Following this he will lead a month-longVajrakilaya retreat at Söpa Chöling. And shortly after this, over the U.S. Thanksgiving holiday, Larry will teach for a week on “In the Environment of Treasure: Exploring the Termas” at Casa Werma in Mexico. Mark continues to lead weekend Vajrayogini fire offerings at Dorje Denma Ling, focusing on magnetizing and enriching. The next enriching one is on Halloween weekend. In the winter we will do a pacifying fire-offering weekend for the first time. This fall, Mark will also continue to teach and lead the Avalokiteshvara sadhana with a group at the Shambhala Center in Washington DC. Scott returned to Bangkok for the one of the last meetings of the Common Buddhist Text project to compile sources from the Theravada, mahayana, and vajrayana traditions and help create a Buddhist Bible. While there he taught at the Bangkok Shambhala Center. In February he traveled to Nepal for the birthday celebration ofKhenpo Tsultrim Gyamtso Rinpoche and to attend Marpa Foundation board meetings. 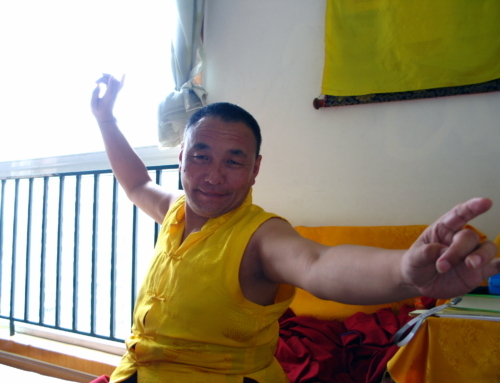 He attended Nitartha Institute in Bellingham, where he assisted with the mahamudra vipashyana retreat and taught courses on valid cognition, “clear thinking,” and lüjong. 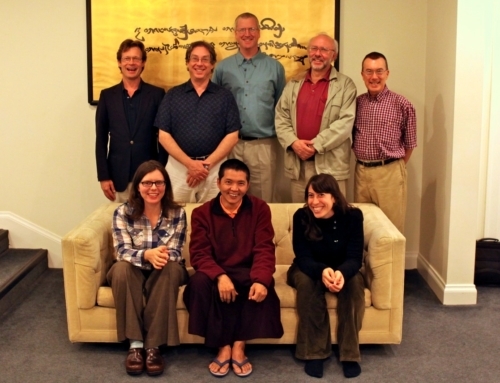 Along with Andy Karr, Scott continues to work with a group of sadhakas in Halifax who gather weekly to contemplate pith instructions on the nature of mind. He also has been working for over a decade with a small group of apprentice translators, who have been helping the Committee with a number of projects, including some of the Vidyadhara’s early writings from Tibet. We are very happy to formally acknowledge and welcome New Associates: Robert Vogler, Linda Lewis, David Birch, and Ryan Jonesas part of our translation family, joining Jaki Connaughton, who has been working with us since 2008. Tingdzin has been the long-distance practice consultant for Group G retreatants of Söpa Chöling during Phase II, Inner Vajrayogini and Chakrasamvara.